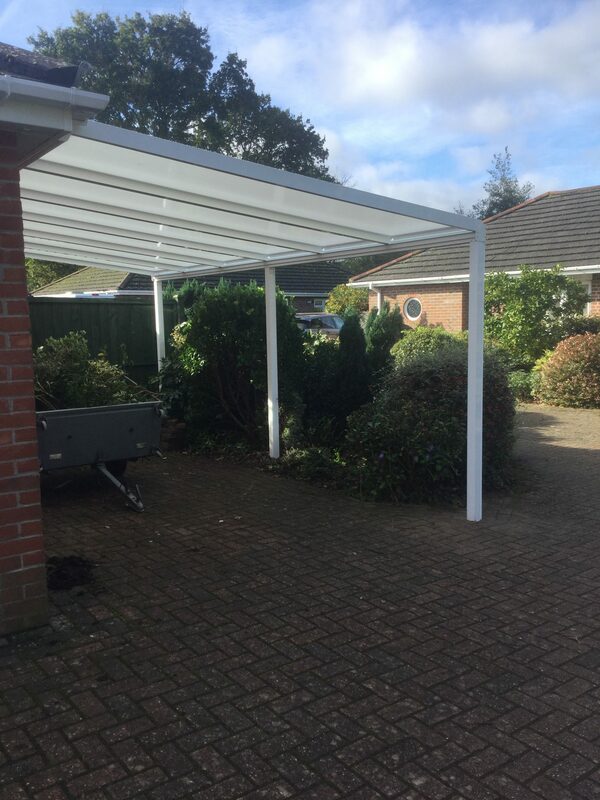 Derek emailed us to convey how happy he was with the supply and installation of his white clear carport. Did you know? A carport can off your car protection all year round from rain, snow, frost and the sun, and makes for the perfect addition to your home. 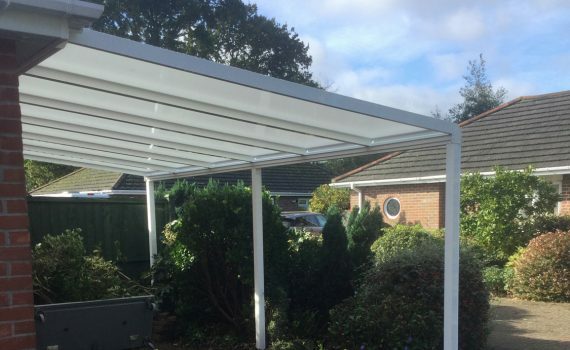 This carport also features the ‘Clear as Glass’ roofing option for a completely see through finish, whichgives the carport a modern feel. The ‘Clear as Glass’ canopies do not suffer from misting or yellowing over time, and they’re incredibly strong.